We are the leading trader and supplier of premium quality Aluminium Cable Scrap that is sourced from the reliable vendors of the market. This is purified using sophisticated technology and machines as per the latest market requirements at vendors’ end. 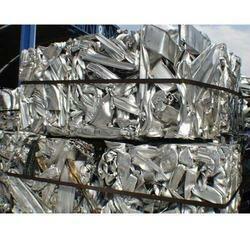 Offered scrap is used in various industries for diverse applications. aluminium transformer cable scrap available in bulk at wholesale prices with shorted delievery time and readily available. We buy and sale Aluminium Cable Scraps which are highly acclaimed for its high tensile strength and longevity features. These scraps are recycled to fabricate unadulterated Aluminium goods, tools and are extensively used for engineering and the railway field. Backed by a rich industrial experience, we have come up with a world class assortment of Aluminum Cable Scrap. We offer them as per the needs of our customers. These are offered at reasonable rates. Supported by knowledgeable professionals, we are offering Aluminum Cable Scrap. Aluminium Scrap Remelted Sec. Al: Remelted ingots of aluminium scrap with controlled impurities. In the form of ingots, slabs and other shapes. Photos and specs to be provided before booking. Taint/Tabor: Old, mixed alloy rolled aluminium scrap consisting of sheets, utensils and similar material. Impurities max 2%. Leveraging the skills of our qualified team of professionals, we are instrumental in offering a wide range of Aluminium Cable Scrap. 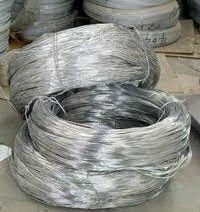 We are a renowned company in this business that is indulged in offering a best quality range of Aluminium Cable Scrap to clients. This Aluminium Cable Scrap is sourced from reliable vendors of the market. Besides, we offer these products in different sizes and specifications to meet the needs of our clients. We are a leading provider of Aluminum Cable Scrap.